I will be Testing the winny, the prop and mast tomorrow with video as well. Stay tuned. I gotta give it to these guys, that was fast delivery!!!! Btw...i do need more winny for the 8 weeks, but let me chip in a bit if that's ok? If not, much appreciated. 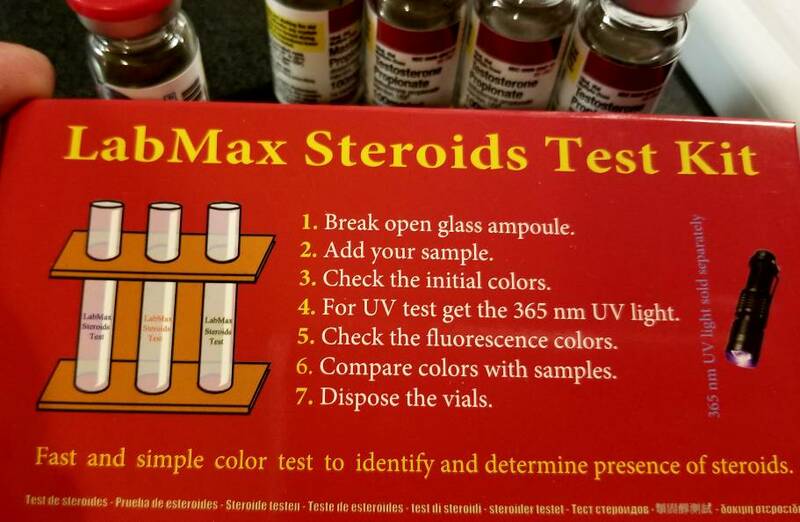 I will begin this Dec 5th, 1st Tuesday of Dec. Next week is holiday time and then I get a fresh new full panel done to compare the test and dex from last labs. So I'll be nice and fresh with just sust in my system and run the prop and mast each at 300mgs with winny at 50mgs for 8wks, pull labs again and pics. Rado, do you come off anymore? Or just stay on all the time now? Doesn't seem like you had a break in a while. stfu. let him stay on till he drops dead. you're going to ruin it for us all! I will come off for a good year next fall. But just been running the test for now. I appreciate it very much and thanks for not wanting any money. It'll be late. I won't get home till around 10...i will do it then and upload to YouTube with link. I got the other bottle of winny and one more bottle of test last night. I'll take a pic of the entire gear later on and post. The plan is to go this coming Tuesday for labs, December 5th which is Tuesday. Ok so here's all of it. These guys are super quick, like 3 days I got my stuff. I will begin next week as I have posted and see where this goes. I will keep it updated and logged with pics. Too many quick fly by labs these days. Let's make sure you guys put good quality gear. It's a win/win for everyone. You can put 10 sponsors together and about 3 to 4 of them are truly legit while 1 or 2 are mediocre and well the rest, just pure shits or scammers. one of the good ones and here to stay.